Need some custom branded items for your fitness studio? Work on those ideas in our easy-to-use design center. 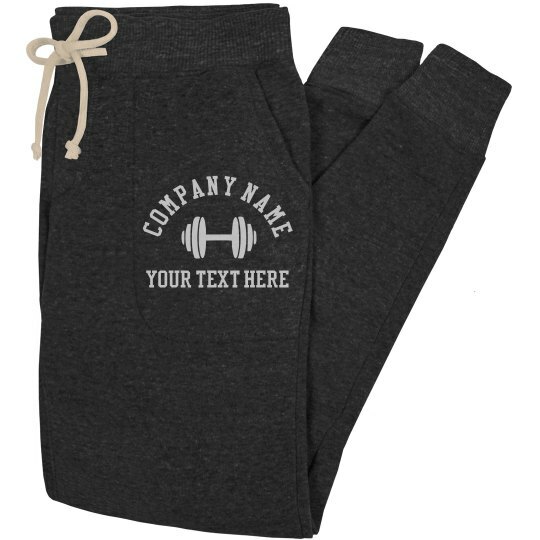 Customize some fitness gear items such as a pair of sweatpants by easily adding your business name and logo. With our no minimum order policy, you can start with how many you ever want.